In this era, where the development and advancement is going at a great pace and every now and then new gadgets appear in the market, it is very difficult to stick to the old ones. There is a great competition going on between all the mobile companies and they try their best to give new features to their mobile phone so that they get attracted and buy them. So a million dollar question is: what to do with the old mobile phones? Throw them? No, obviously not! Mobile phones have barium, lead, mercury, cadmium, chromium, selenium, antimony, PVC, bromine etc. in them. So when the mobile phones are disposed of then there is a possibility of leakage in their batteries. This will pollute the land and can also enter rivers and becoming a great danger for human life. Aquatic life may also be disturbed. So it is very necessary to get them recycled. It is a non-biodegradable waste and comprises a lot of the landfills. Glass cannot be decomposed naturally, although it darkens in color but still remains glass in composition. So its recycling is very necessary. It is not harmful for human health, but it gives a dirty look to the land. 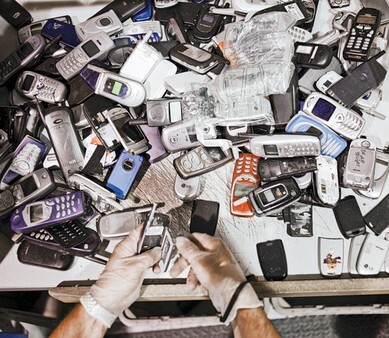 The making of new mobile phones requires raw material, which can be decreased by recycling. The covers and protective casing of mobile phones can be made from the old ones. During the recycling process the functioning parts are removed and are used in low cost gadgets. But the transportation of raw material from source to destination produces pollution by emission of poisonous gasses. The productions in industries also increase pollution as wastes are secreted from the industries which can be in solid form or in gaseous forms. So it is better that the mobile phone are traded and recycled among people instead of all the industrial recycling. They can be traded with the shop keepers. They can be exchanged with the shopkeepers in place of new mobile phones. In this way it would cost less and would be beneficial. The mobile phones can be given to the poor and destitute women and it can be very helpful and life saving for them. They can be given to charity, so that they can provide the deserving people with mobile phones as they cannot afford them. They can be sold to poor countries, so that they can sell them to their people at low cost. They can be given to organizations or campaigns which send mobile phones to troops overseas so that they can call back home. Soldiers are given prepaid cards and recycled mobile phones. Where to Send Mobile Phones For Recycling? 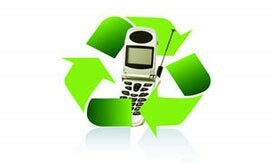 We can send mobile phones online for recycling if you do not have proper time for going to the organization or charity. Some shopping malls have recycle bins where you can put your old mobile phones for recycling.